But then, since the mood and the weather were both fair, I decided to venture a bit further than normal, and headed off down a bridle path that we’d not been down before. It finally felt like summer had arrived. There were butterflies and flowers everywhere. We wandered past an old house that was mid-renovation, which thrilled DorkySon because there was a great big yellow digger parked outside. Then we passed a few buildings, with lots of ominous signs about CCTV and restricted access (I’m assuming we were skirting the boundaries of fields belonging to Rothamsted Research which has been in the news a lot recently for attracting a new wave of anti-GM protestors). 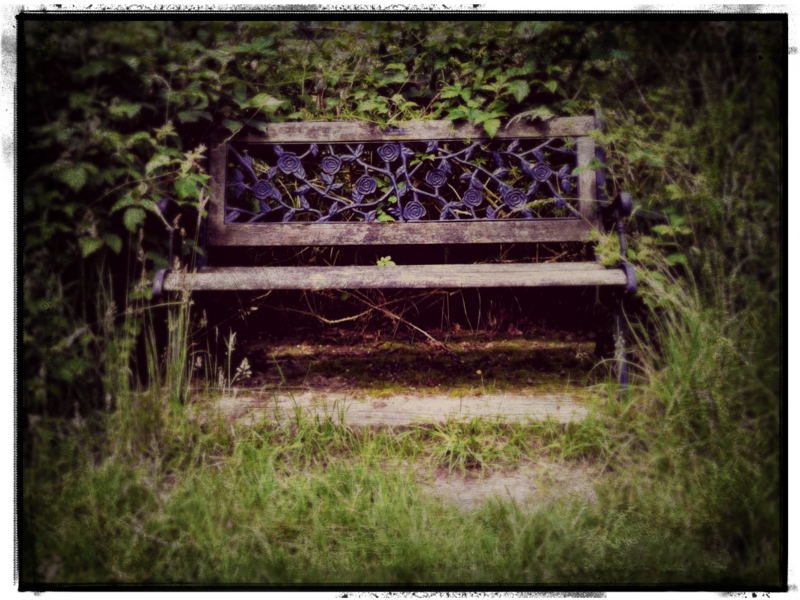 A few hundred yards further along the path there was an unexpectedly pretty bench nestled into the bushes. Then we chanced upon a field – another wheat experiment – that was exploding with flowers, and suddenly it was worth the walk. I didn’t wade into to the middle of it to take a photo of the poppies – although I wanted to – but I did stand and look at it for long enough that the clouds started to gather and the breeze started to blow, and I was able to finally snap a shot that makes this place look not so dull after all. There is not much graffiti here, but it will do, for now. Beautiful photos, as ever. And that bench is stunning. It would look rather lovely in my garden! Absolutely, beautiful photos, it goes to show that sometimes when we stop and look a while we see the most amazing things! 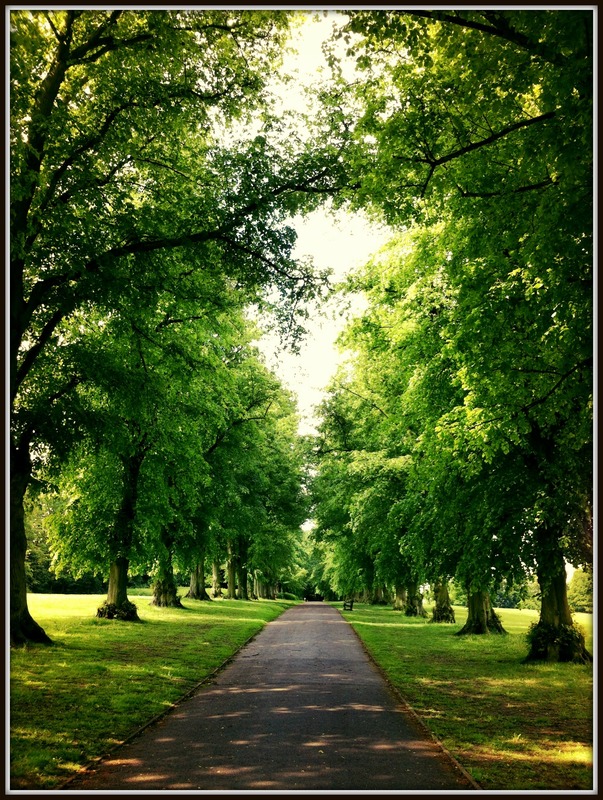 I live in a city but every morning on my way to work I walk down a trees lined avenue. There were once playing fields on both sides, now on the left a small carpark replaces a field. 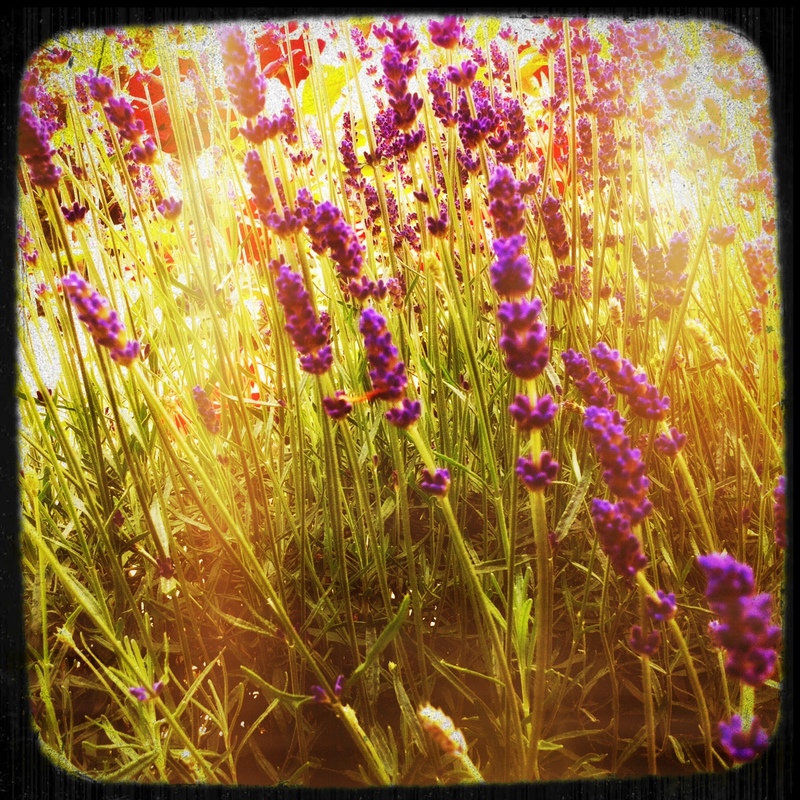 I’m pleased you shared this blog it reminds me of life’s simple pleasures. Lovely photos. It’s much better to take a few minutes and go off the usual route to see what you can find. Totally agree, it’s far too easy to get stuck in a rut otherwise. Utterly magical stills. Keep taking your camera out with you! 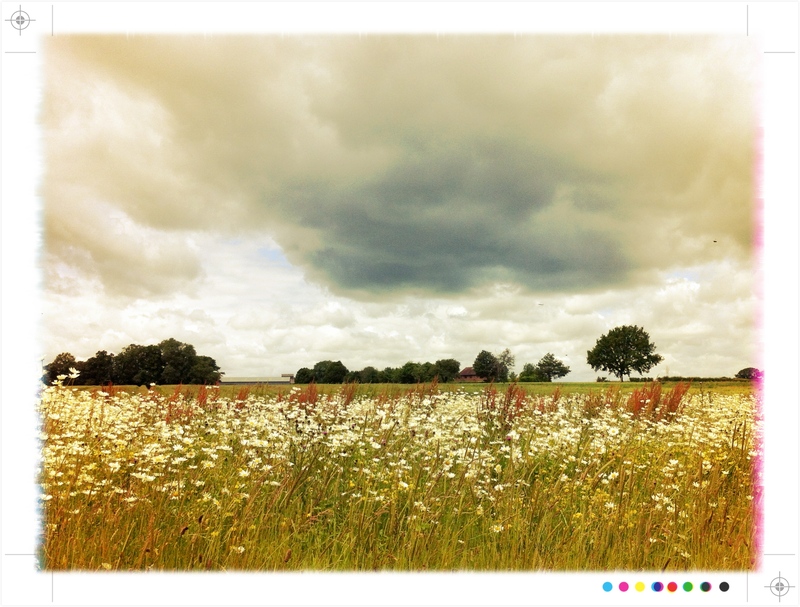 Stunning photos – I’ve always loved the Hertfordshire countryside. Thanks for your kind words 🙂 shame we aren’t really getting the weather to appreciate it just now! Wow, those are great shots! I sometimes try to capture pretty things or scenes on my walks but my skills fail me again and again. And am only just learning how to use my Instamatic actions #wellbehindthetimes 😉 You’ve inspired me!! Keep taking the camera with you, these are great records.